Plastic Boot Pull from Shires Equestrian. 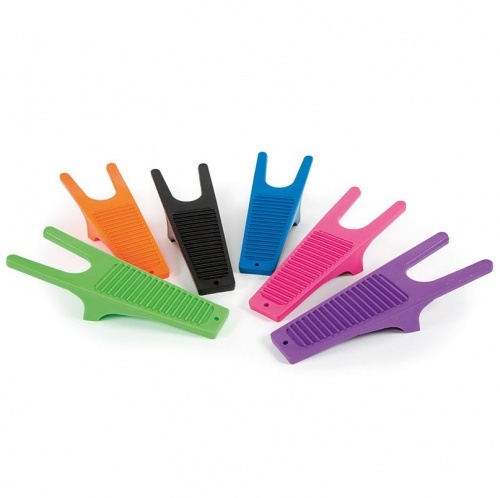 Made from easy clean plastic this boot jack makes removing boots easy, quick and in muddy conditions clean. Simply step on the base (making sure you have something to hold on to - to prevent over balancing) place boot to be removed in the neck of the jack and pull, foot slides out of boot easily. Keep one in the boot of the car after walking the dog.